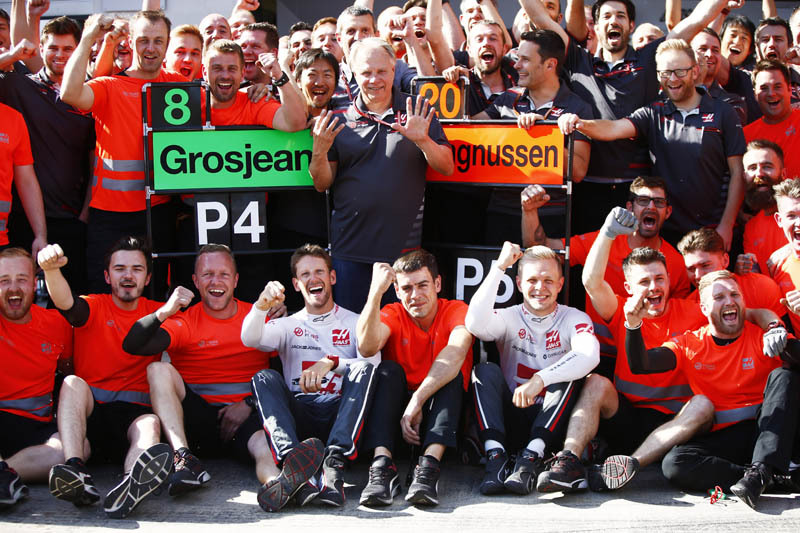 On a day of thrills and high drama, surely nobody would begrudge Haas - the little team that could - its historic points haul. Though the American team had been best of the rest for much of the weekend - as it was in France - fourth and fifth was way beyond expectations and aided by the bad luck encountered by Messrs. Hamilton, Bottas and Ricciardo. That said, Haas has had its own fair share of bad luck this year, beginning at the season opener where Romain Grosjean and Kevin Magnussen both fell victim to unsafe releases. 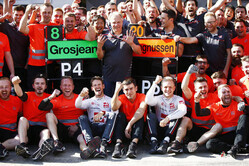 As his team celebrated its 50th Grand Prix with a points haul that sees it go fifth in the standings - leapfrogging McLaren and Force India in the process, Gene Haas offered a few words of caution. Asked if the result marked a watershed moment for his team and a turnaround in fortune, he said: "Well it's a one race redemption. If we can do it for five races, then maybe we've got something. "I wouldn't put too much into a single race success," he added, according to ESPN. "There's a lot of randomness in racing." "Everybody realised the potential the car has got," added team boss Guenther Steiner, "we just didn't turn it into enough points. We had some points but we didn't make enough. "This time, we scored," he grinned. "We were lucky this time, by two dropping out or three dropping out in front of us so to finish fourth and fifth. In the end, the car showed it was the best of the rest today, dominating that position. "Everyone slowed down a bit at the end with the tyres, everyone was getting scared having a problem with it. Everybody executed very good the whole weekend, we didn't have issues. "This was a good weekend, not just a good race or a lucky race. Good executions and the luck was the three in front of us went out. Otherwise we would have been seventh and eighth."